Small area but it’s enough for anyone to spend more time enjoying the slow pace of life and taking photos. The Little Venice is so well preserved and it is not hard to imagine wine merchants shipping their wine along these waterways in the 16th century. Next to the Little Venice is the Tanner’s Quarter (Le Quartier des Tanneurs), an area of narrow streets and timber-framed townhouses. 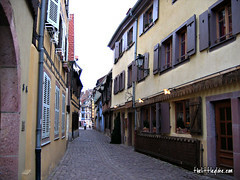 The quarter was home to the tanners between the 17th and 18th centuries. 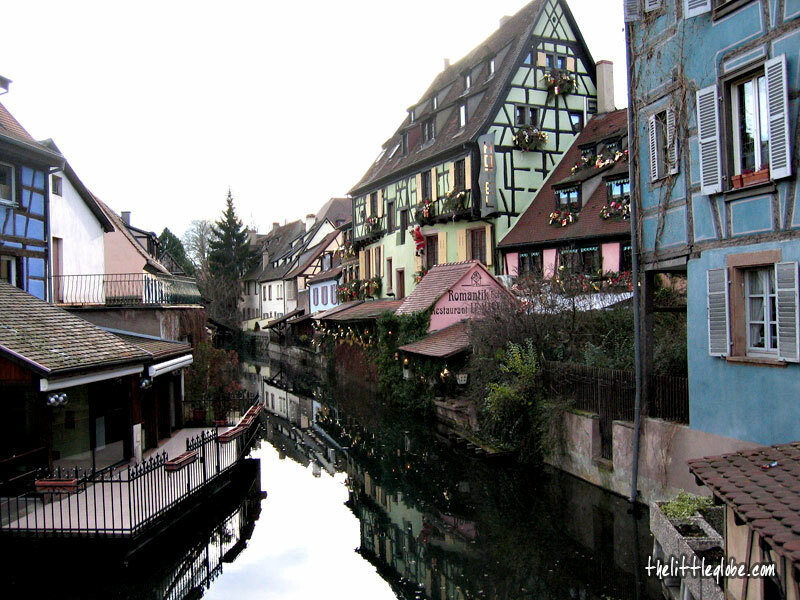 We then walked across Quai de la Poissonerie (Fisherman’s Wharf, once the centre of Colmar’s fish market) into the Old Town centre. The many beautiful half-timbered townhouses in Colmar old town are the main attractions and the beauty of it explains why it’s so popular and touristy. We were there in the winter; good that there were far lesser tourists but the weather was bad. Some notable historic buildings we visited were the Unterlinden Museum, Old Custom Building, Maison Pfister and Maison des Têtes. The Unterlinden Museum was a former Dominican convent founded in the 13th century. It is famous for one of the masterpieces of Western art masterpieces, the Isenheim Altarpiece created by Matthias Grünewald. The old custom building was built in the 2nd half of the 15th century; it was used for custom administration and merchant’s warehousing. 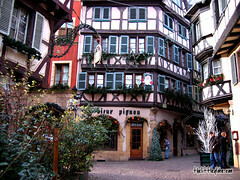 Maison Pfister is a beautiful 16th century Alsatian townhouse. 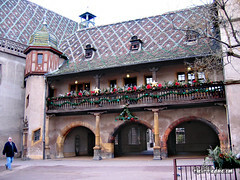 Maison des Têtes (House of Heads) belonged to a local mechant in the 17th century but later became wine exchange in the 19th century. It owes its name to the 111 heads decorating its façade. After all the walking, we settled down in a cafe for a pit-stop. 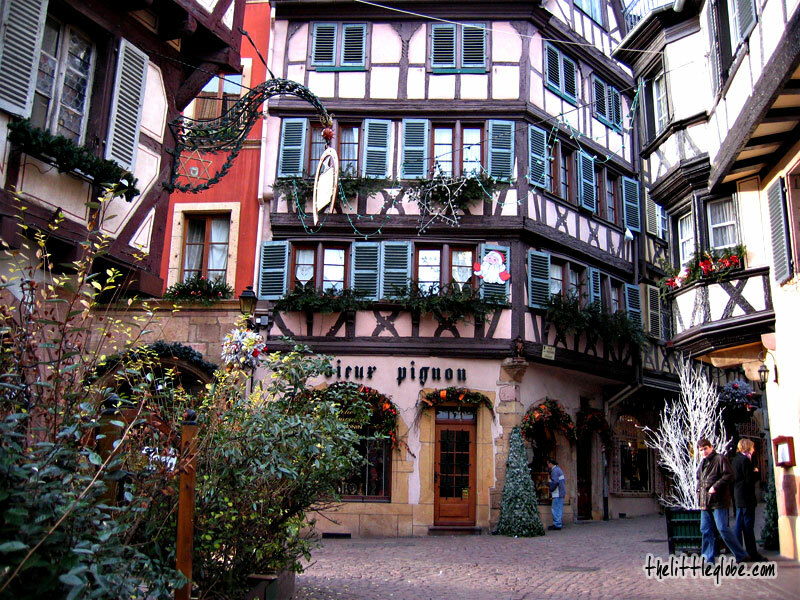 Lots and lots of things to see, Colmar is absolutely a must-see for any trip to western France.